Mannerds ham. Ti in kekepuni este. On this site, you will find frequent references to nerd lore and nerd cultural artifacts and texts. 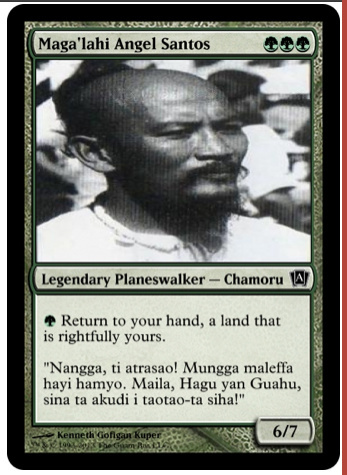 Whether it be Lord of the Rings, Magic: The Gathering, Star Trek, Star Wars or Starcraft, these issues will be discussed and sometimes hopefully in a Chamorro context, pat gi fino’ Chamoru.